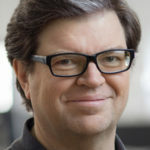 Congratulations to NYU professor and Tech Summit keynote speaker Yann LeCun, one of three researchers to receive the 2018 Turing Award. 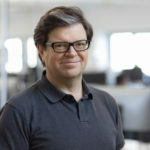 LeCun, Yoshua Bengio and Geoffrey Hinton, were honored with the $1 million “Nobel Prize of computing” in recognition of their work in AI deep learning. 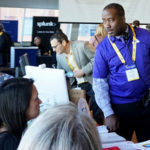 The inaugural NYU Technology Summit celebrated the University’s collective accomplishments of using technology in innovative ways. NYU President Andrew Hamilton kicked off the day, followed by Len Peters, NYU IT CIO, and keynote speaker, Dr. Yann LeCun.